This is Daniel Hill. Born in 1797, he was just another farm boy in Boston, Massachusetts. But by the time he was a teenager, he had been lured to the sea and by the time he was 25, he was first mate on a ship traveling around the world. This eager young American had no idea he would become a well respected Mexican Ranchero one day. 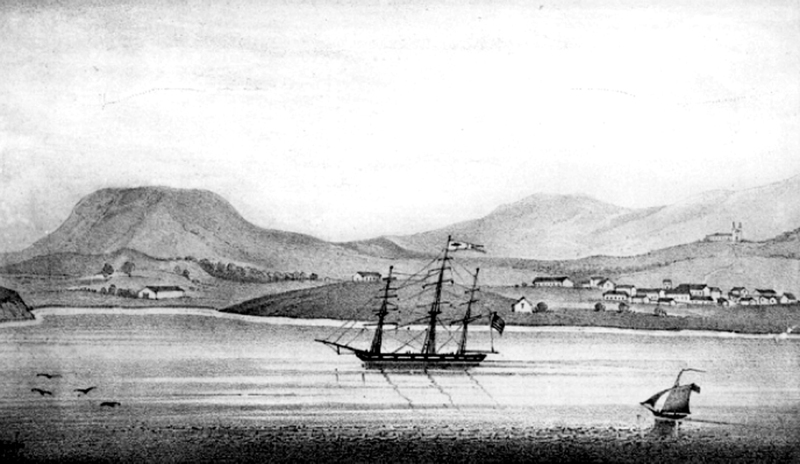 In 1822 Hill sailed from Boston, around the Cape and to Hawaii, then called the Sandwich Islands. There he signed on as first mate aboard a schooner called the Rover that was headed for Alta California. He first set foot in our neck of the woods at Refugio Bay in 1823. Having heard about the beauty of this area, he wandered up to the Ortega hacienda to have a look around. There he was met by a beauty of a different kind. Her name was Rafaela and she was the daughter of the ranch owner, Don Jose Vicente Ortega. Daniel Hill was 26 years old and Rafaela was only 14, but she swept the young sailor off his feet. The Captain of the Rover sent First Mate Hill into Santa Barbara to look for any cargo worth purchasing. 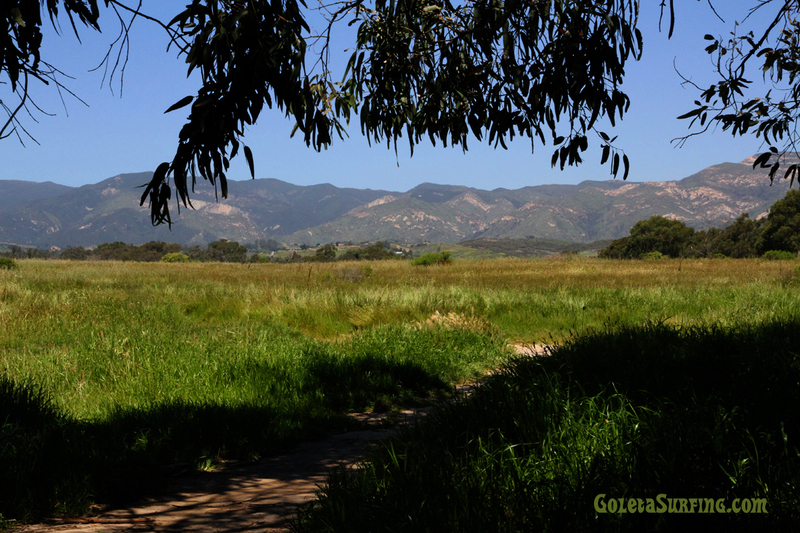 On a borrowed Ortega mule, Daniel rode through the pristine Goleta Valley and was once again, swept off his feet. The wide open coastal plains were blooming and herds of deer wandered freely. The rounded foothills backed by the blue mountains made a picturesque backdrop for the slough and it’s abundance of ducks and geese flying over the forest of live oaks. Daniel Hill made up his mind, his seafaring days were over. This would be his home and young Rafaela Ortega would be his bride. Rather than taking his final pay in cash from the Captain of the Rover, Daniel took his pay in merchandise. A very shrewd move, seeing as the young town of Santa Barbara really didn’t have much to offer. 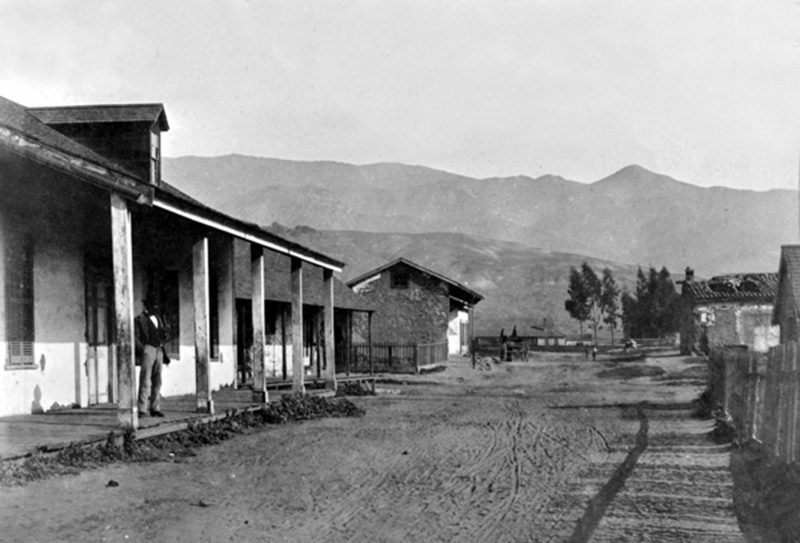 Hill rented an adobe near the mission and set up the first American trading post in supply hungry Santa Barbara. In less than a week, he was sold out! So now he had a bag of money in a town that had nothing to sell. 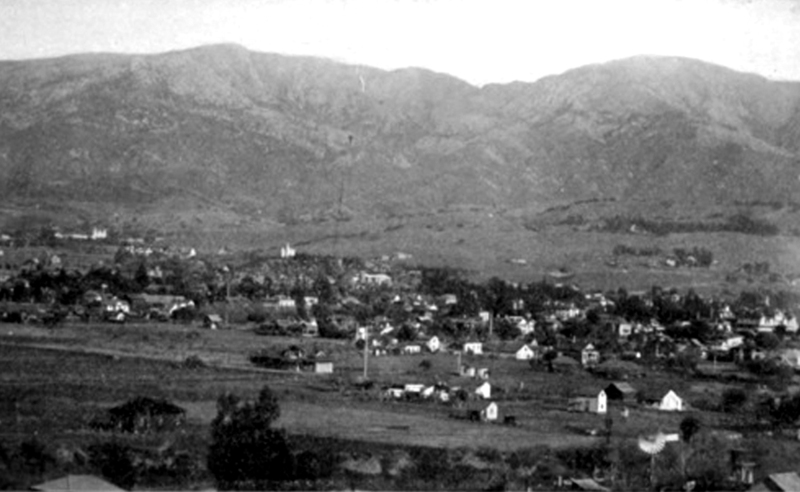 Santa Barbara was a hide and tallow town, and it only got supplies when a ship came in from New England. With nothing left to sell, Hill turned to his other skills. He was an excellent carpenter and stonemason and he was highly motivated. These were valuable assets in early Santa Barbara, where manana was the usual answer when work needed to be done. Daniel Hill worked circles around all the local men and he quickly made a name for himself in Santa Barbara. He kept extremely busy digging wells, making aqueducts and irrigation systems, building adobe houses, making tiles for roofs, and so on. He was eager to work and there was plenty to do. The mission padres appointed him their superintendent, overseeing all the farming, blacksmithing and construction. But despite his busy schedule and the sudden demand for his services, he made regular mule rides west, through the beautiful Goleta Valley, to continue the courtship of his true love, Rafaela Ortega at the Refugio Ranch. 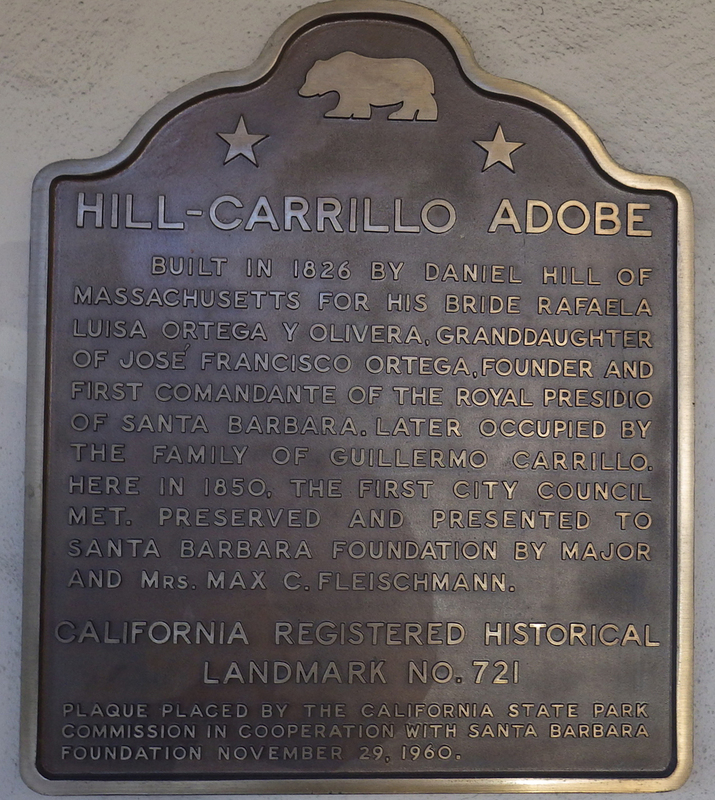 Hill was the busiest contractor in town, building many adobe houses in the area around present day State and Carrillo streets. Unfortunately, most of the homes he built later ended up in the middle of future streets when Haley did his famous survey, and they had to be demolished. While he was busy building homes in Santa Barbara, he was diligently practicing his Spanish and petitioning the authorities for his Mexican citizenship. In 1825 he found time to take a big step towards his goal of marrying Rafaela, he converted to the Roman Catholic faith. In 1826 Hill finished the construction of a beautiful home for his future bride, complete with glass windows imported from Boston and wooden floors, probably the first in town. 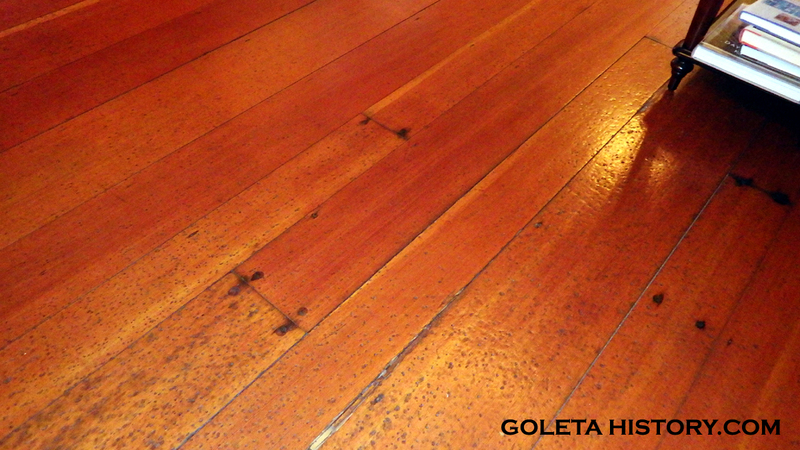 (Most homes in Santa Barbara had hardened earth floors, some of them hardened with asphaltum from Goleta’s beaches.) Later that same year, they were married, he was 29 and his bride was a mature 17. This house still stands today at 11 East Carrillo Street, as beautiful as ever. The happy couple would eventually have 15 children, the first five of which were born in this house. 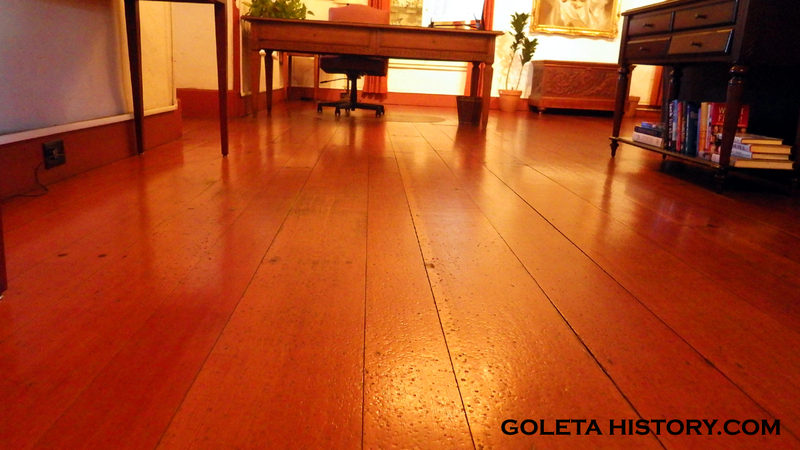 The sturdy wooden floors still shine as a testament to the construction skills of Daniel Hill. With five kids and more on the way, the beautiful Santa Barbara house got too crowded. So around 1836, the Hill’s sold their city house on Carrillo Street and moved to a remodeled adobe in Tajiguas Canyon, west of Refugio, on Rafaela’s Ortega family ranch. 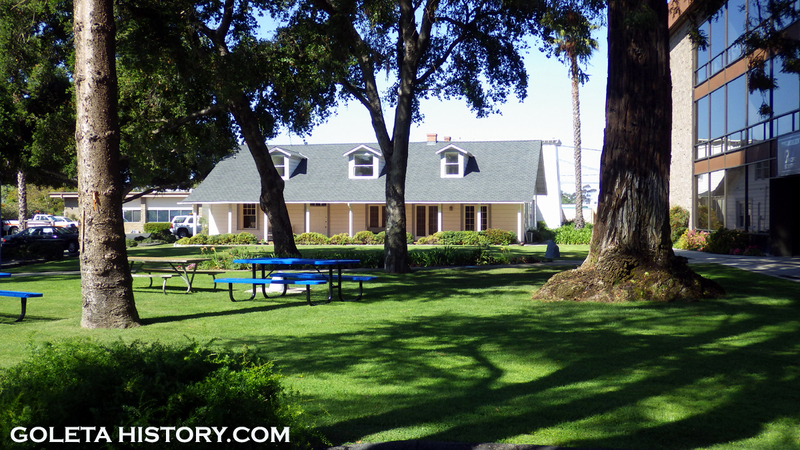 While the exact year of construction is debated by historians, it was probably in the 1840’s when Hill built a summer home in the Goleta Valley. Presumably it was a happy compromise between his wife’s family home way out at Refugio Ranch and Santa Barbara, where his livelihood was. Hill did not own the land it was built on, it was on his son in law’s Dos Pueblos Rancho. The adobe sat on a rise within a few hundred feet of the Goleta Slough and due to the large amount of ducks in the area, it was given the name La Patera Ranch. 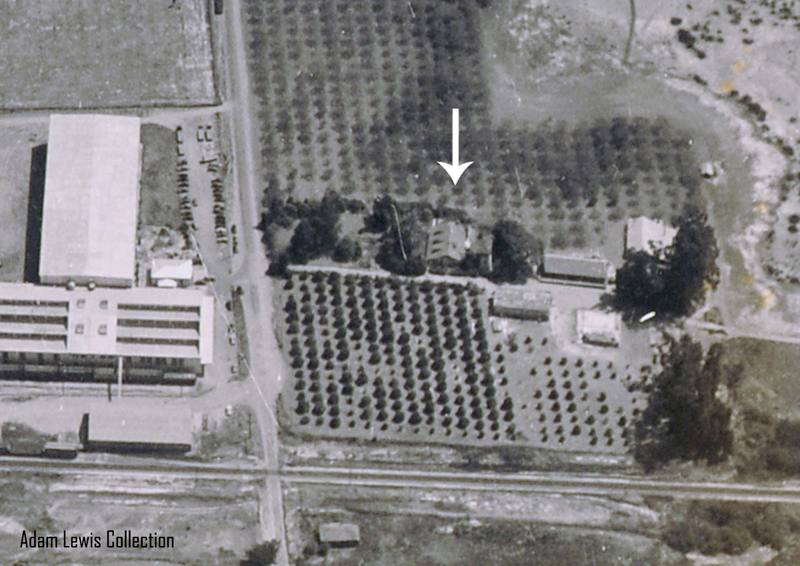 The adobe survived through the years, shown here during World War II, with the Sunkist lemon plant looming large across the street. 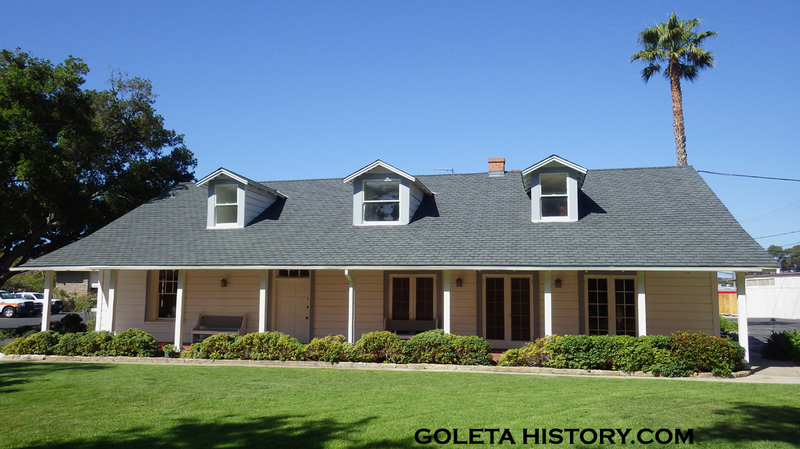 This home also still stands today and is the oldest home in the Goleta Valley. The wood siding added by later owners makes it hard to tell, but this is an adobe building. In fact, it has 30 inch adobe walls that have survived many earthquakes over the years. Another testament to the construction skills of Daniel Hill. 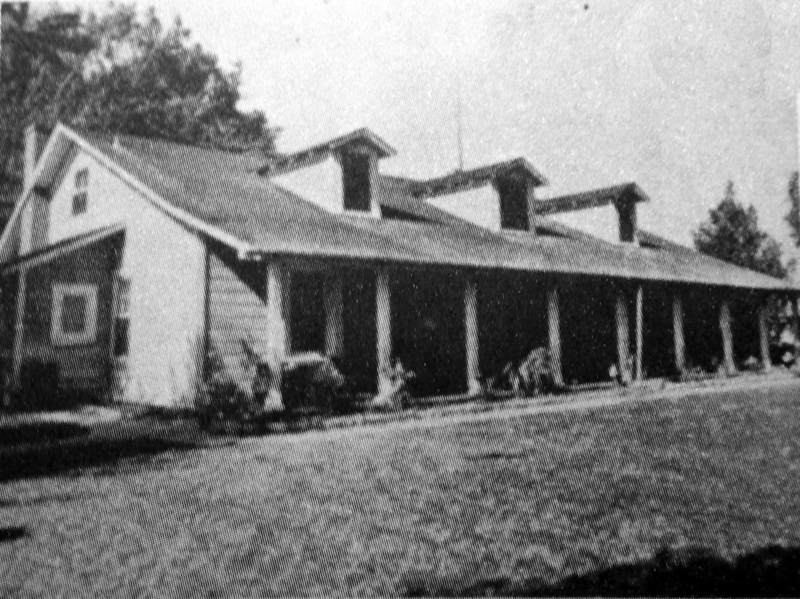 George Williams purchased the property in 1902 and much of today’s appearance of the adobe is due to his restoration, including the wood siding and the replacement of the tile roof with shingles. It has been preserved beautifully through the years and can be seen housing a small business today at 35 La Patera Lane. 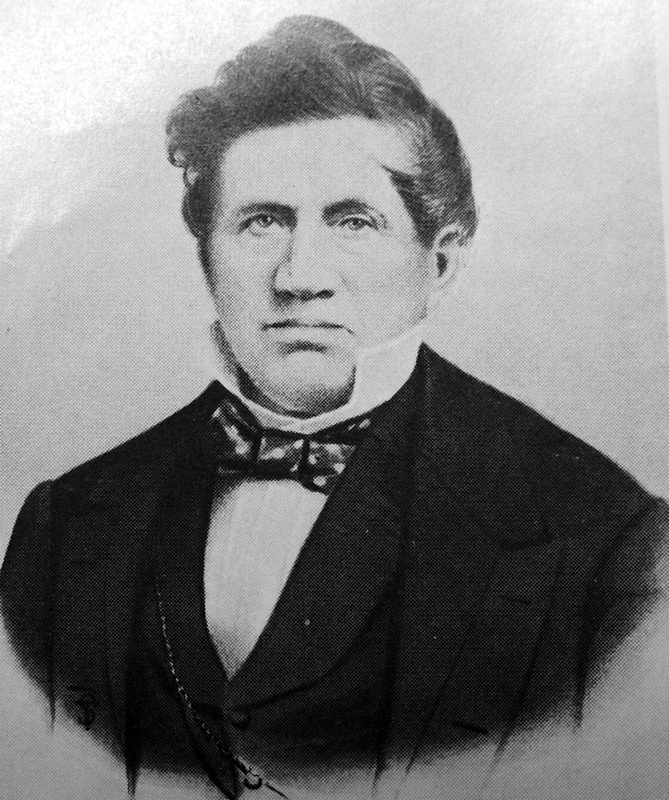 So by the mid 1840’s, Daniel Hill was Mexican citizen and a well respected member of the Santa Barbara community. His oldest daughter, Rosa, married a young Irishman named Nicholas Den, who wasted no time getting his Mexican citizenship so he could get a land grant. The Mexican Government had begun secularization, systematically giving the huge expanses of open land owned by the missions to Mexican citizens, for free! When Nicolas Den was granted the beautiful Dos Pueblos Rancho, Daniel took note and decided he would be a fool not to apply for a land grant as well. 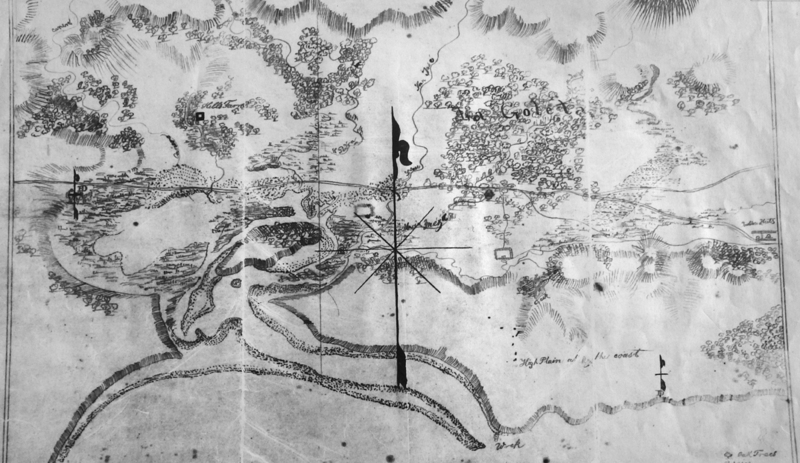 Hill drew up this nifty little map or diseno, as they were called, and submitted it to the Governor for approval. Real estate boundaries were determined in pretty loose terms back then, and things like boulders and trees were often used as markers. Ah, the good old days…. 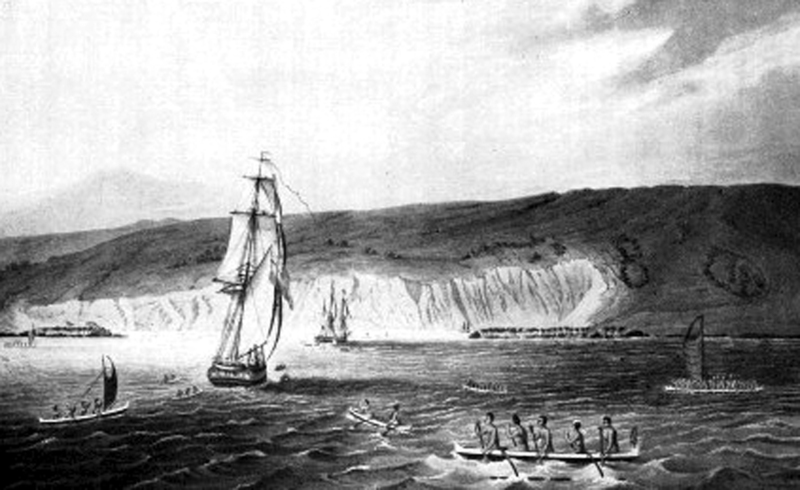 In 1845, the Missions of California were in decline. 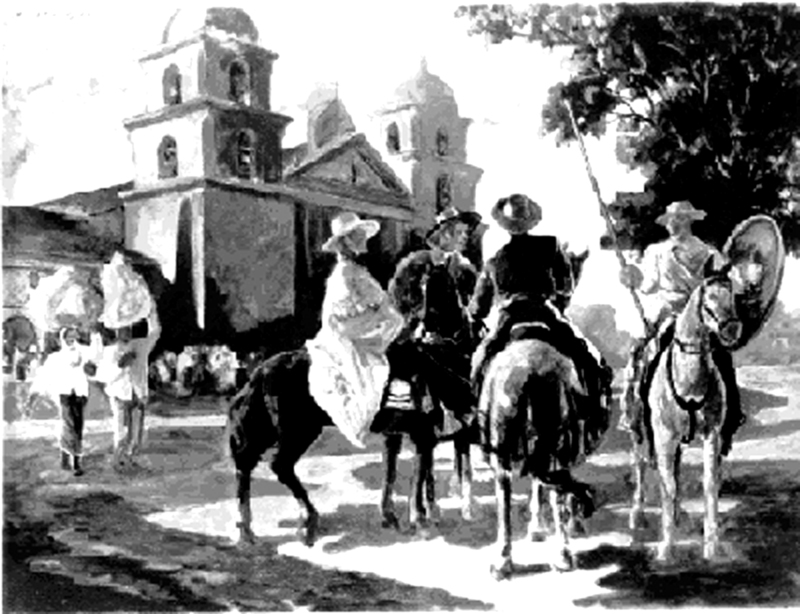 The Mexican government’s Secularization process was well under way, and they were confiscating California missions and kicking out the Franciscan friars. The mission property was then sold or given away to private citizens as land grants. Mexico wanted all the land to be owned by Mexican citizens, rather than the church. When the government put the Santa Barbara mission up for sale, the priest in charge, Father Duran, came to his friends Daniel Hill and Nicolas Den for help. 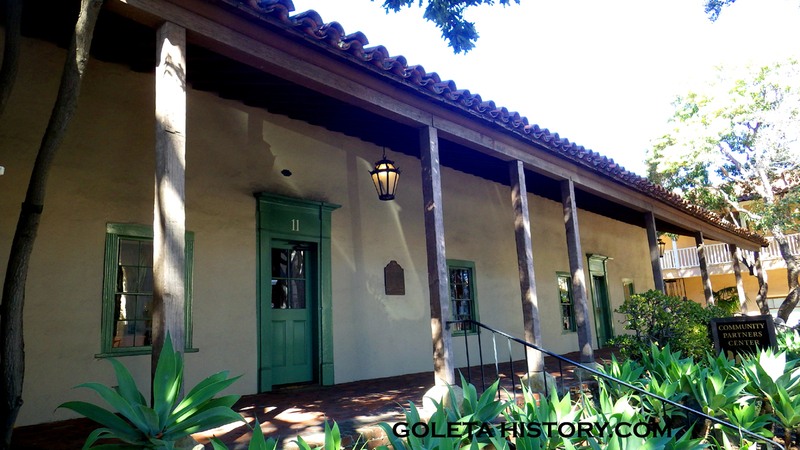 They secured a lease from Governor Pio Pico and kept the mission open as a working church. 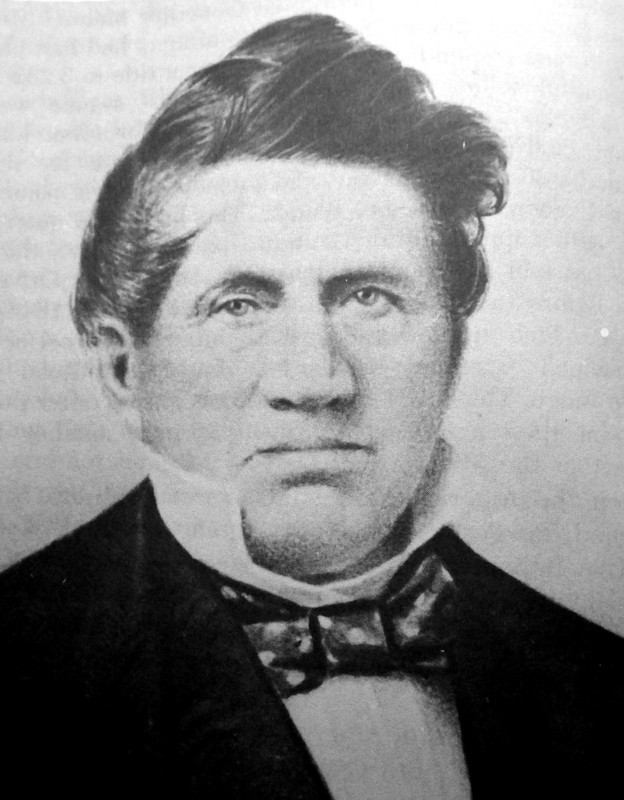 In 1846, Pio Pico granted Daniel Hill his own land grant of over 4,000 acres. It went from the border of his son in law’s Dos Pueblos land grant on the west, to the mission lands on the east, and from the foothills down to the sea. Today, that would be from Fairview Avenue to Hope Ranch. 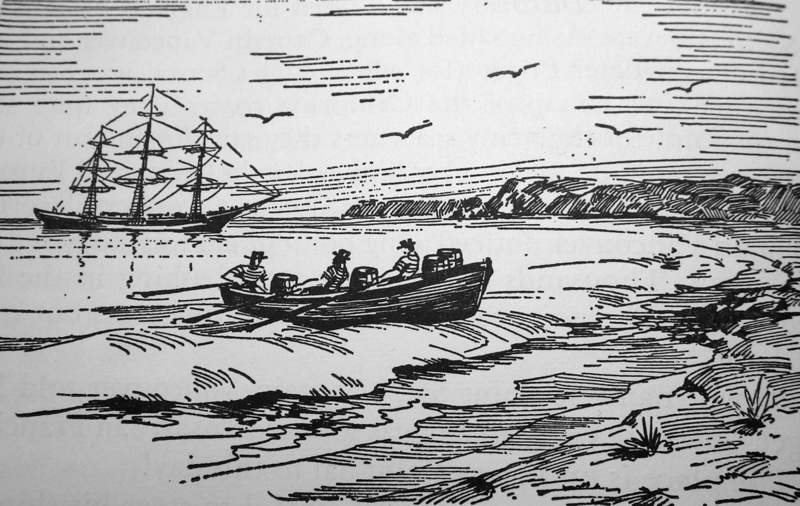 By this time, the area around the east side of the slough had already been nicknamed La Goleta, or the schooner, because some schooners had run aground in that area, and at least one schooner had been built there. 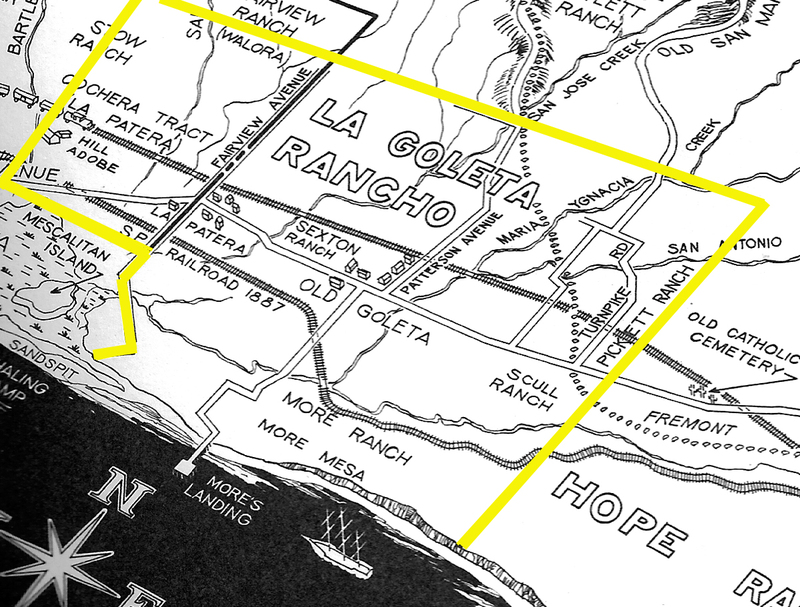 So it was a no brainer for Daniel Hill to name his land grant “La Goleta Rancho”, thus officially recording the name Goleta for the first time in history. And obviously, the name stuck. This more detailed map was drawn shortly after his acquisition of the ranch, and it has some interesting things to note. 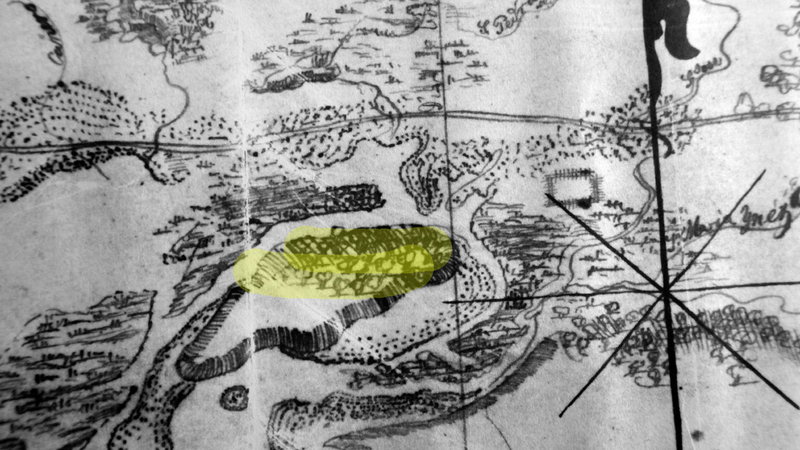 The name La Goleta is written on this map, but hard to see through the oak grove. Also note the San Jose Creek. 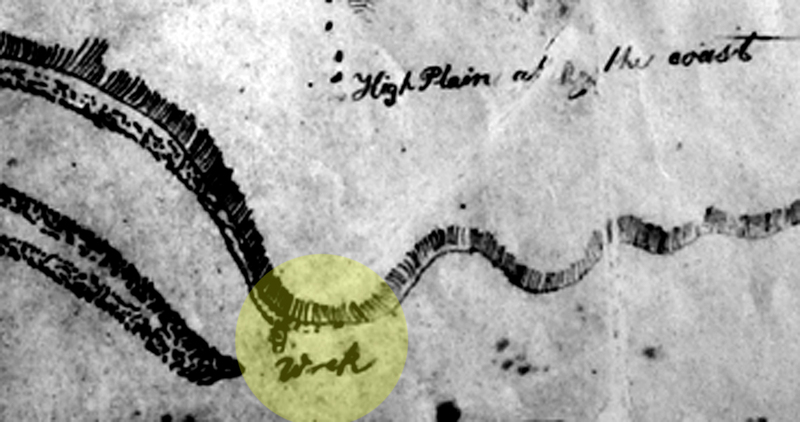 At the mouth of the slough is written “wreck”. Probably one of the grounded schooners that gave Goleta its name. Sometimes grounded ships would remain on the beach for a long time and locals would pick it apart for building supplies. 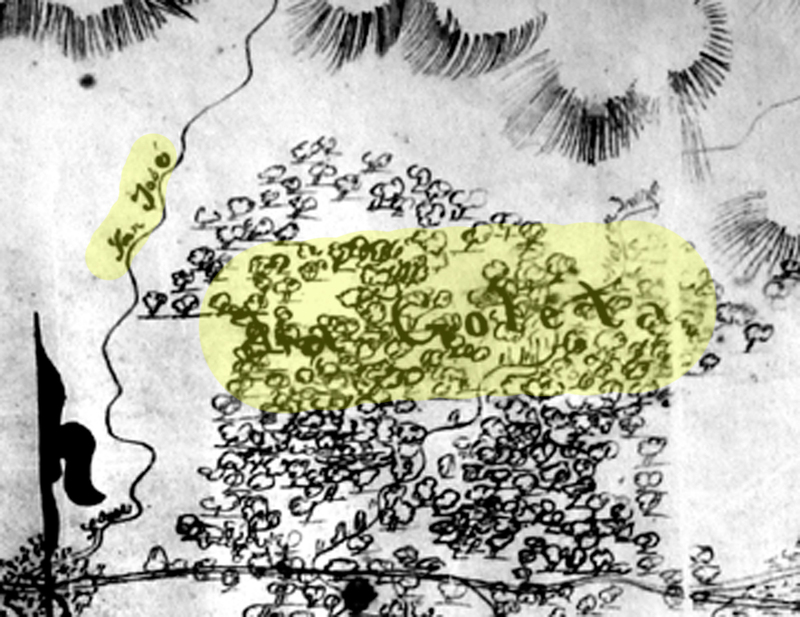 Mescaltitlan Island is shown with an oak grove on it. Note El Camino Real just north of it. 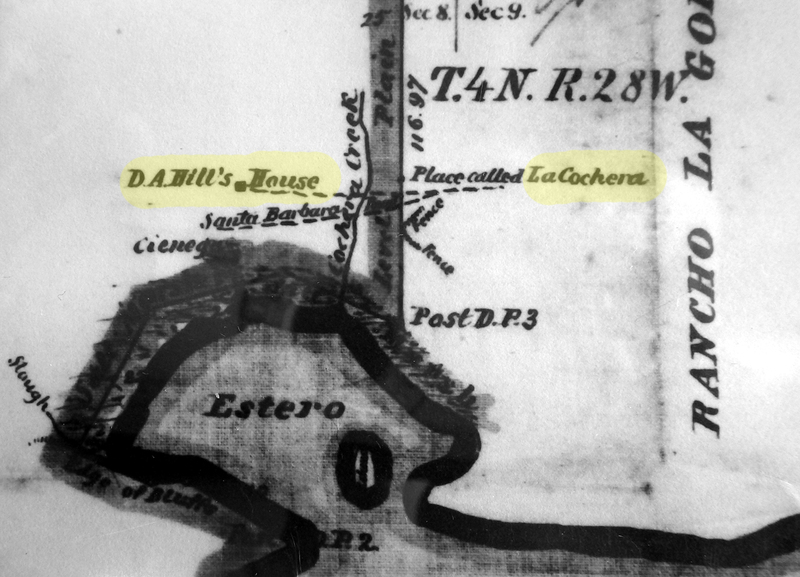 Daniel’s La Patera adobe is shown overlooking the slough, with Los Carneros creek just to the west. 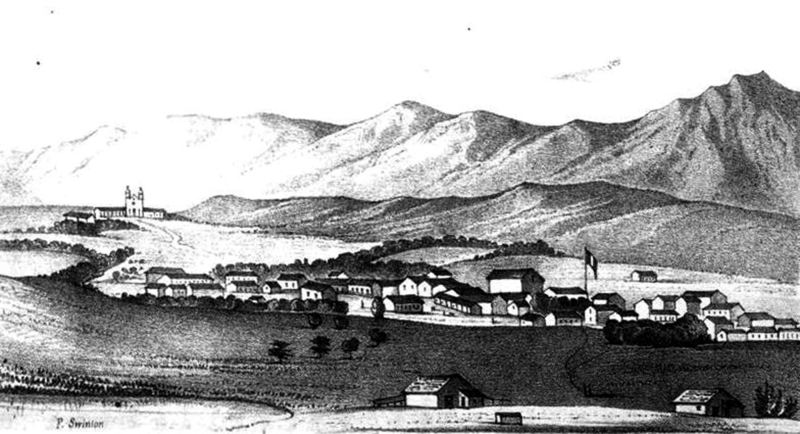 The California Gold Rush brought a steady stream of traffic passing through the Goleta Valley. Thousands of young men were heading for the hills in search of their fortune. The Goleta Dons, Hill and Den, found a way to make their own fortune without lifting a pick or a shovel. The 49ers were a hungry lot, and the demand was high for beef. So high, that the Rancheros discovered could get $50 a head, as opposed to the $2 a head they got in the hide and tallow trade. So they began sending their cattle north at regular intervals and cashing in. 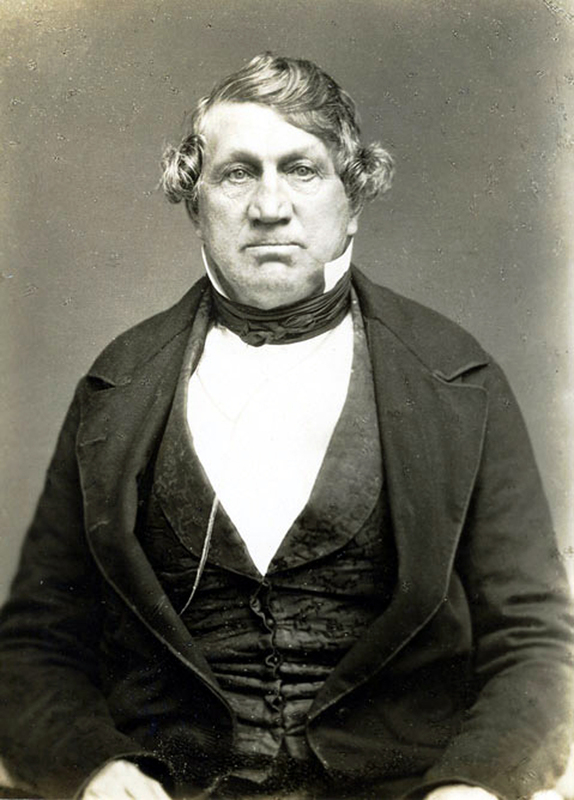 In 1851, Daniel Hill’s son in law Nicolas Den sold him an additional 1,000 acres just north of the slough. 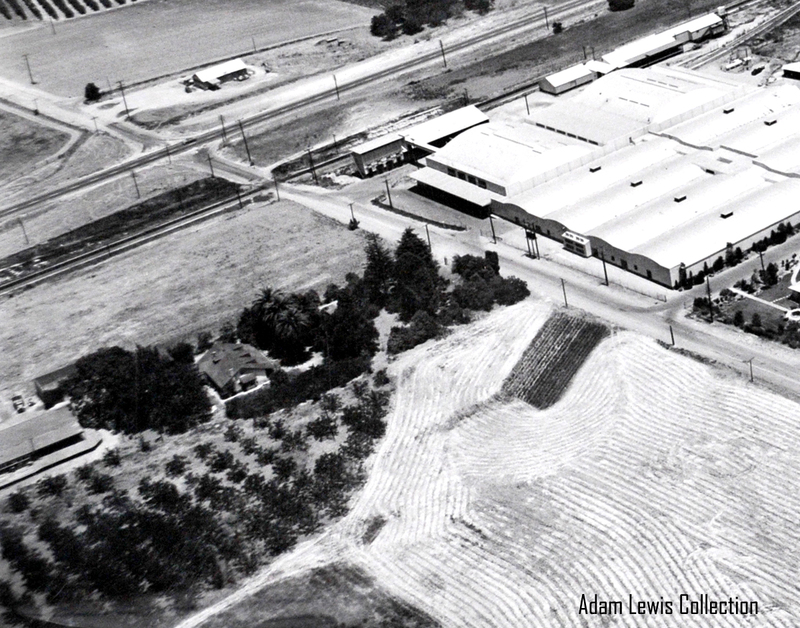 It was an area called the Cocheras Tract, named for an old coach house that was once there, and went from today’s Fairview Avenue to Los Carneros creek. Den gave his father in law a serious “bro deal” at 50 cents an acre! The reason for this sale was probably because Hill had built his La Patera home there several years before. In the mid 1850’s, Daniel Hill’s La Goleta Rancho looked like this. With a huge ranch and a successful cattle ranch, things were looking great for the Hill family. But Mother Nature was about to throw some curve balls. November of 1861 brought rain, and it didn’t stop until early 1862. For five solid weeks the rain kept coming. Creeks were choked full of debris, historic adobes melted away and the Goleta Slough filled up with mud, making it impassible for boats. 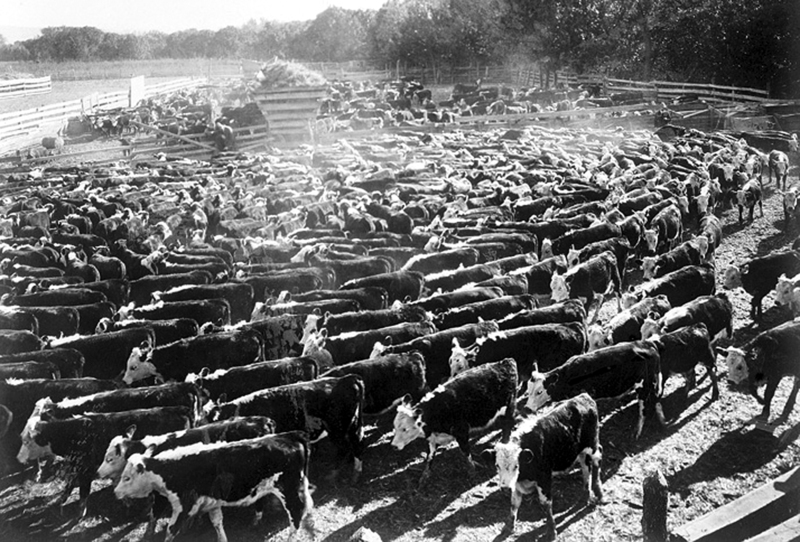 Countless cattle were drowned and crop fields were buried under 6 to 8 feet of silt. 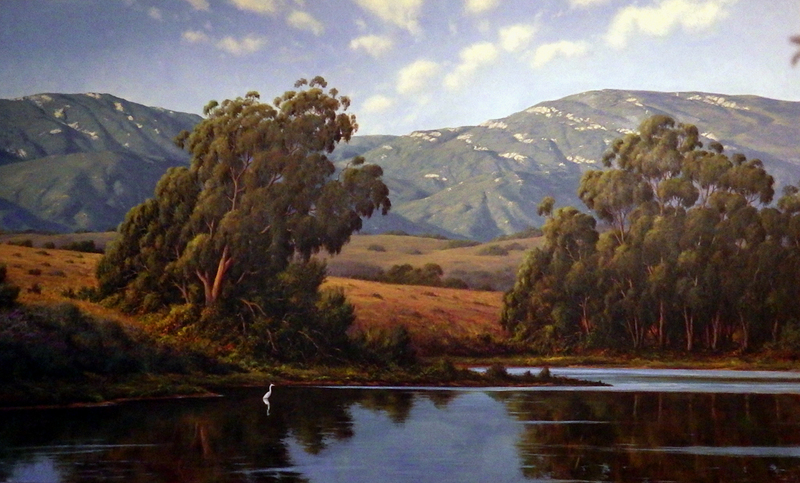 Then, like a one-two punch, Goleta fell into a drought. Rain didn’t fall for the next two winters, which doesn’t sound bad to us today, but this was before dams and reservoirs were built. The green hills turned brown and hot winds dried everything up. A plague of grasshoppers then moved in and devoured anything left growing. To make matters worse, the demand for beef dropped greatly, and the price dropped with it. 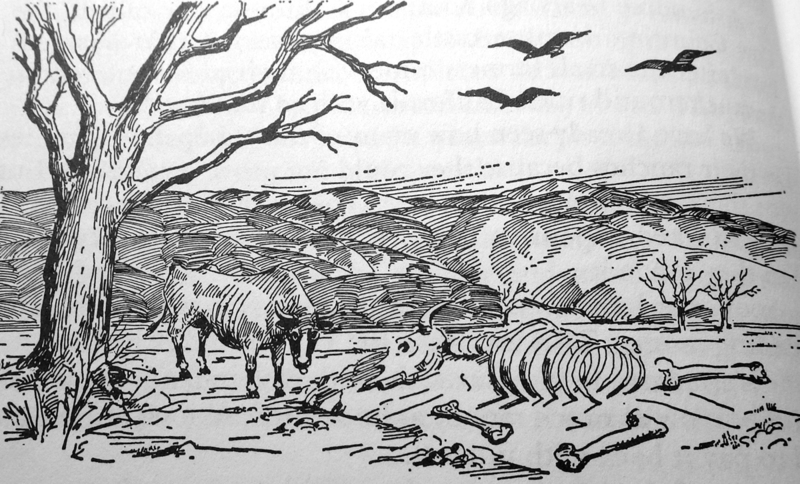 Hill couldn’t sell the cattle he had left and they were starving to death. He resorted to selling them for their hides and got next to nothing. Hill had no choice but to sell off portions of his ranch to pay his bills, but the land values had dropped as well, leaving him in fear of losing everything. The era of the big ranchos was coming to a close. Hill had borrowed money from a notorious land shark and he was very worried he wouldn’t be able to pay him off. So in a desperate last move to save his ranch, Daniel Hill filed a homestead claim on roughly a quarter of his property. 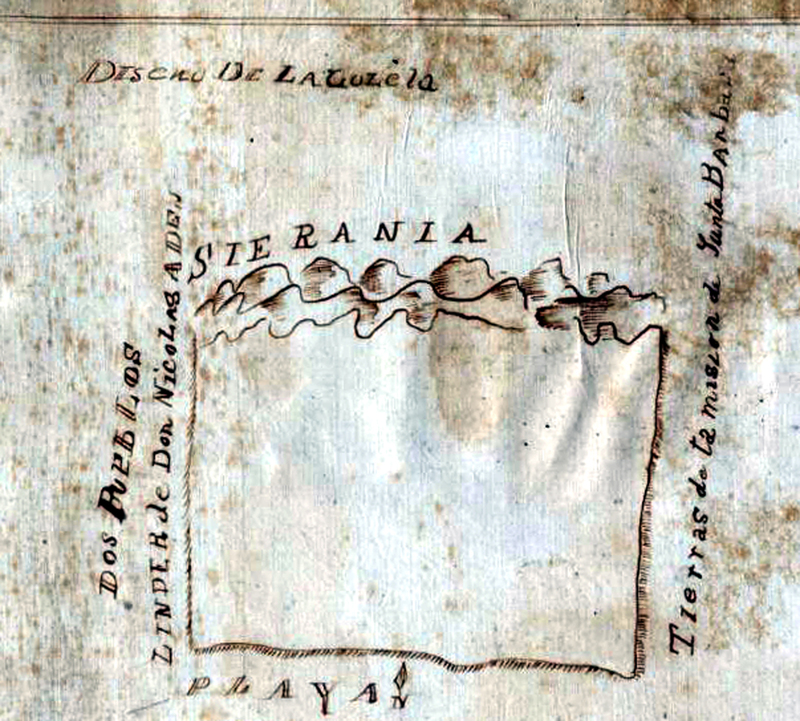 He drew up a claim around his La Patera home and sold off the remainder. 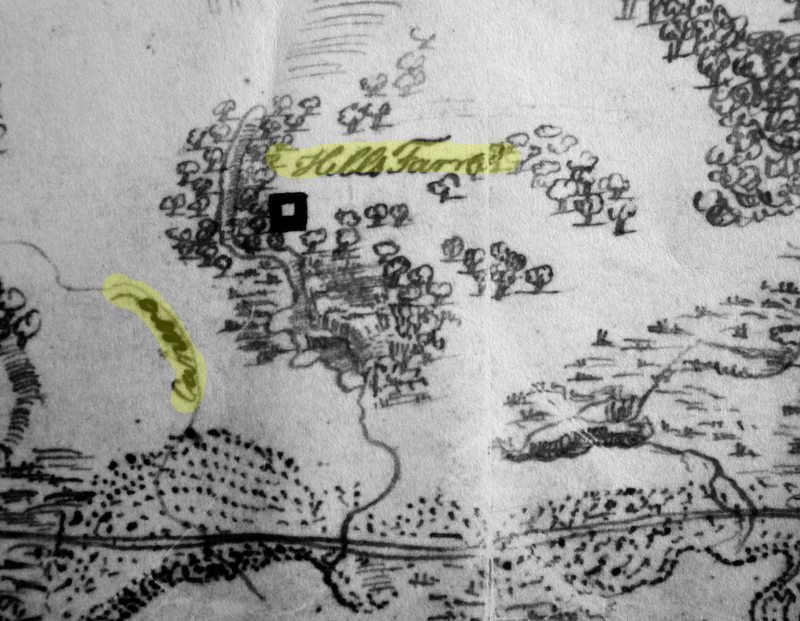 The southeast corner of his homestead was marked by two tall sycamore trees, one of which is the Witness Tree, that still grows on Hollister Avenue. This claim saved a portion of his ranch for his family. 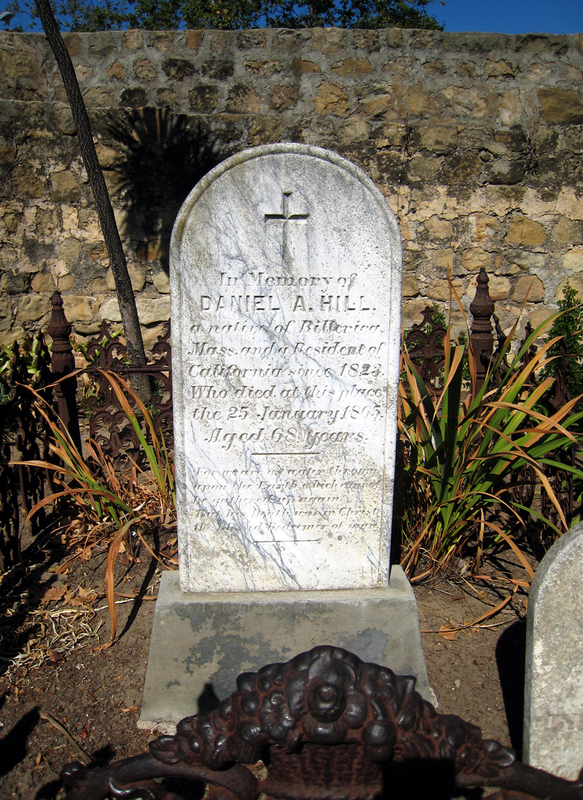 Daniel Hill finally managed to pay off his creditors but the stress had taken a toll on his health. In addition to his financial woes, personal tragedy struck when one of his sons died and another was declared hopelessly insane. The sight of his drought ravaged rancho sent him into a deep depression and he became bedridden. Hill fell victim to his melancholy and passed away in 1865. Today he rests peacefully in the Santa Barbara Mission cemetery. Daniel left behind the love of his life Rafaela and their 13 children. They split up what was left of his rancho into 40 acre parcels and sold them off, marking the first time an original Mexican land grant in California had been broken up for small farm operations. The end of an era. 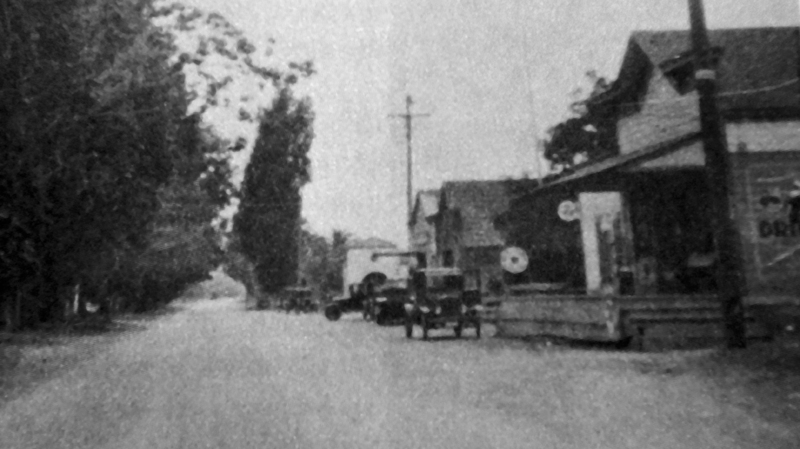 In 1875, the U.S. government appointed a local post office, and the name “Goleta” was officially applied at the corner of Patterson and Hollister Avenues. This was the first time “La” had not been used in front of it, and it was further evidence that Americanization was underway. So Americanized, in fact, that many locals had hoped their young city would be called “Oakdale”! 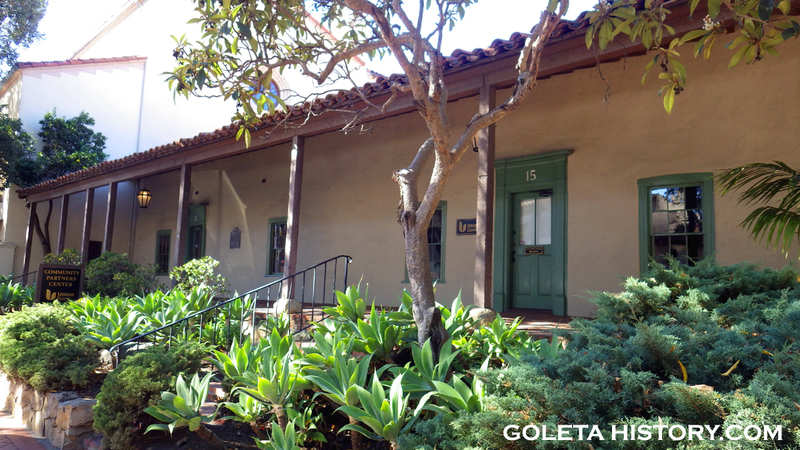 Fortunately, the name Goleta was official, and here to stay. 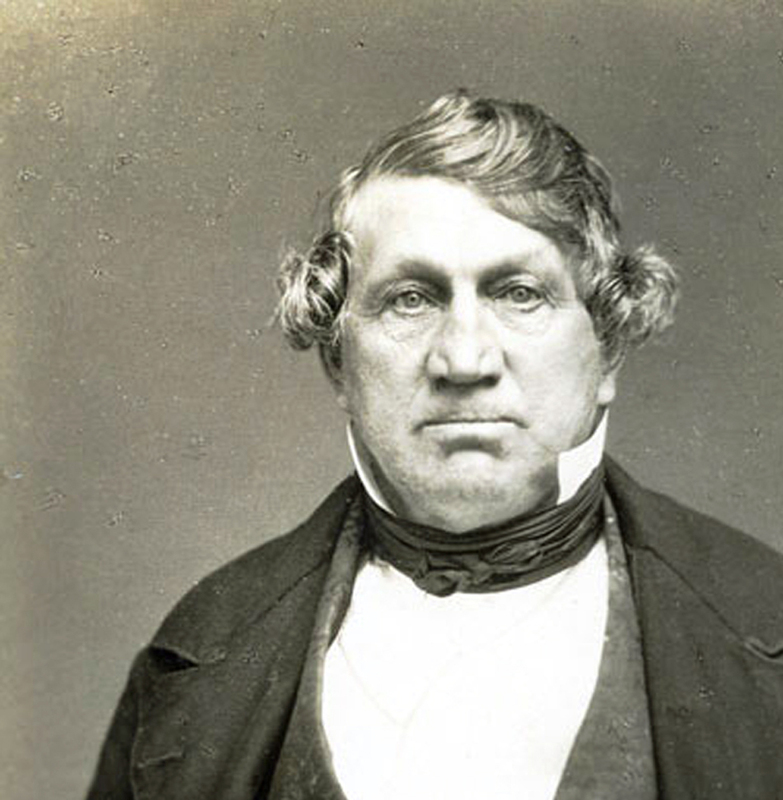 Daniel Hill played a large part in building Santa Barbara, saving the mission and, perhaps most importantly, he was The Man That Named Goleta. All these years I thought Goleta was the Spanish name got galleon! Marvelous history! Thanks! My Great, Great Grandfather was George Williams who purchased the La Patera property in 1902. We are thankful that he took such good care of it! 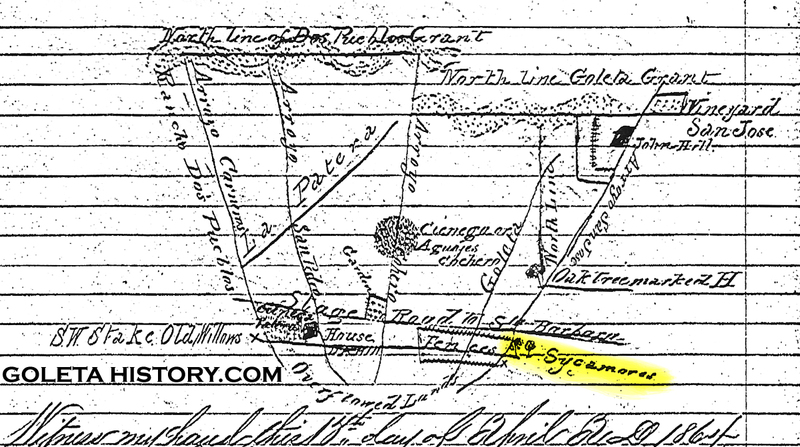 My Great, Great Grandfather was George Williams, who purchased the La Patera property in 1902.